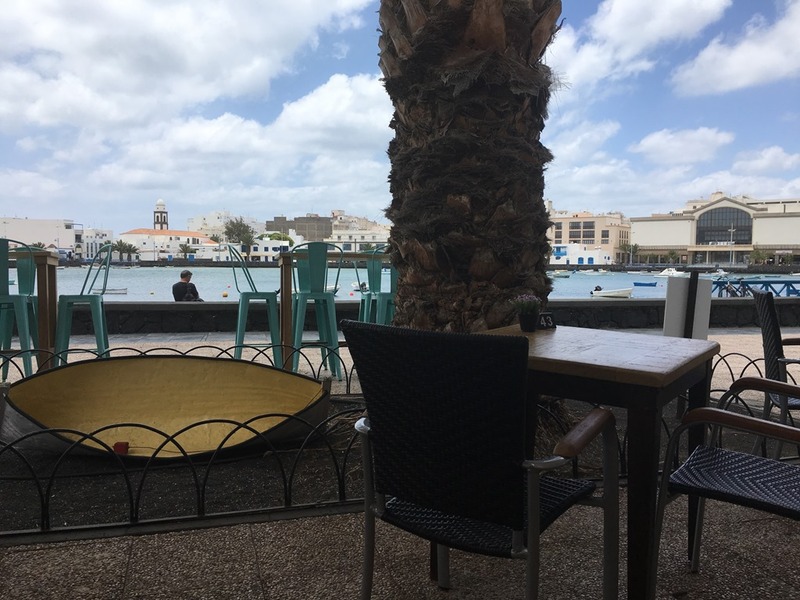 Many of the tables on the terrace were already occupied, there was a mixture of Spanish and British residents lunching as well as tourists. The food coming out of the kitchen looked fabulous, we decided to share the house salad (Ensalada Divina) and a spicy Pizza Vesubio. There were plenty of friendly waiters on hand, their language skills were being tested by the variety of nationalities who had been drawn to the restaurant for lunch. The Divina salad is a work of art! 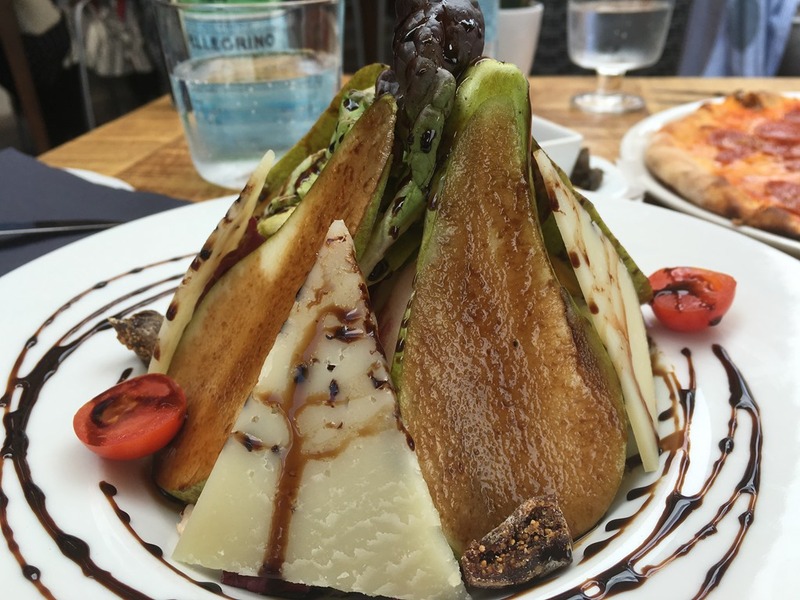 It included pear, figs, a selection of lettuce leaves, Pecorino cheese and cherry tomatoes, dressed in balsamic vinegar. The portion was huge and obviously freshly prepared by a proud chef. 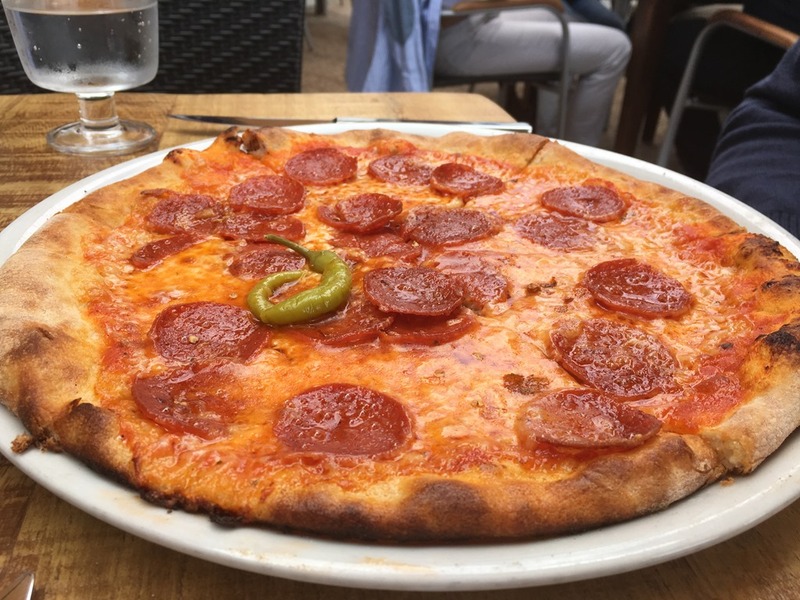 Our pizza was delicious, it had a thin crispy base, with lashings of peperoni and a lone guindilla topping. Our waiter arrived with the most humongous black pepper mill and fresh parmesan grater for the final touch before we tucked in. We’re trying to be good, so we enjoyed S.Pellegrino sparkling natural mineral water with our meal and a Lavazza coffee to finish. Our lunch bill was just under €20, the salad was €7.50 and pizza €7.95. We really liked the decor of the restaurant, there’s a choice of indoor and outdoor dining tables at different levels, the toilets were also spotlessly clean. 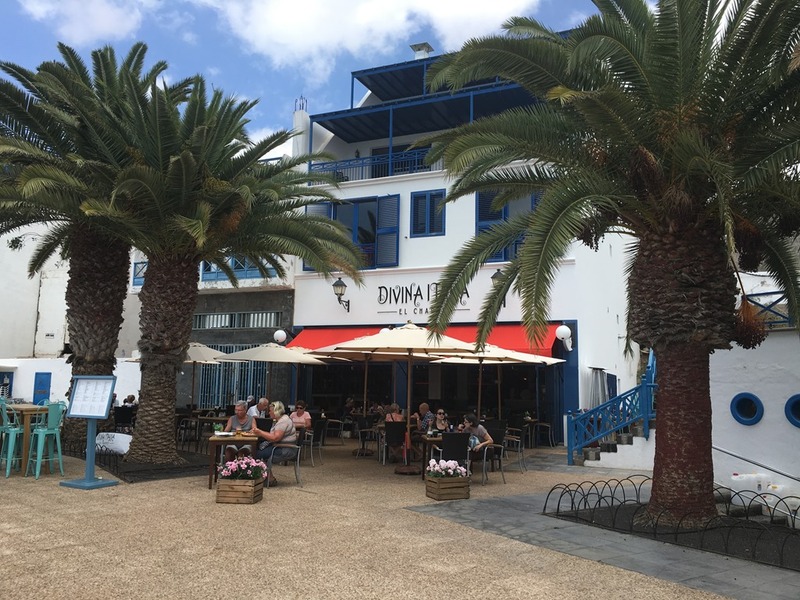 If you’re looking for a modern restaurant with creative Italian gastronomy, we would highly recommend eating at one of the two Divina Italia restaurants in Lanzarote. 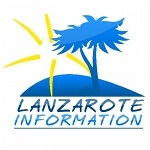 The original restaurant opened in Costa Teguise in 2009, the second one above opened in Arrecife in 2015.